We live in a very splintered society. Call it the Starbucks’ world where everyone orders up exactly their own pleasure: “I’ll have a tall, no-whip mocha” or “give me a grande, whole-milk, no-foam latte.” It’s very cool, of course, but it is a whole new phenomenon that has sunk into our culture. We get to make all the choices — that’s the principle here — so the world better offer up a variety of options. But we are not reading the same books or going to the same movies or watching the same news. Is that a good thing for our society? No one is reading the same blog, to be sure, or following the same tweets. Every newspaper or network or cable channel has its own slant, and we are quite deft at picking the sources that appeal to us, individually. The people who are watching MSNBC are not watching Fox News, and they are certainly not talking to each other about what they learn. Judging from what we read and watch we are obsessed with a political view of everything, and yet we are decidedly divided in our chosen political postures, and there is this careful avoidance of talking, at least calmly, with anyone with whom we disagree. Have things splintered out of control? Isn’t it a bit disconcerting that we have very little in common we can talk about? This isn’t a matter of just being nice, or of conflict avoidance, but rather a matter of crafting carefully protected silos of meaning and even language where we feel comfortable. When a common culture splinters into a thousand pieces, do we have any longer a notion of the common good? Don’t people yearn for some sense of coherence as a society, some sort of neighborliness of meaning? All of this is reinforced by our culture of tolerance. We have a great deal of difficulty calling anything wrong, because everyone has a different opinion of what is right and wrong. Tolerance is one of the dogmas of our day. But I find it so interesting that tolerance actually turns into intolerance, and perhaps the reason we withdraw into our own subcultures, our silos of agreement, is that we simply can’t stand someone who thinks differently, someone who reads something we consider ridiculous. That’s intolerance, isn’t it? Recently I was up at Starbucks, very early in the morning, sipping my latte and reading The Wall Street Journal. A friend came by and spotted the Journal and asked incredulously: “You mean you read that?” I felt his dismissal just because I wasn’t at the moment reading The New York Times. As early as 1961, the political theorist Hannah Arendt, well before her time, said this: “We have ceased to live in a common world where the words we have in common possess an unquestionable meaningfulness.” And the results are not pretty, says Arendt, because “short of being condemned to live verbally in an altogether meaningless world, we grant each other the right to retreat into our own worlds of meaning, and demand only that each of us remain consistent within his own private terminology.” That’s downright horrifying to me. But are we not approaching this kind of “retreat into our own worlds of meaning”? Is this really the kind of society we want? I’m not sure what to propose as a solution, but some common core is missing from our society. I have lots of thoughts about why this has happened, some of them philosophical, some cultural, most of it reaching back as far as the mid-19th century. But we are where we are, and I am not sure where we are headed with this new phenomenon, but to my mind, it is not appealing, or healthy, or worthy. I have a conviction that a society will not flourish unless there are some things we hold dear, in common. This is where education comes in, but surely it goes back even earlier and deeper into the home and how families are bringing up their kids. You can’t force deeper commitments or convictions on anyone or any society. Of course. But isn’t there some obligation here to dig deep into our roots and back into our history to discover there something of lasting value that is the glue to hold us together? Shouldn’t we be discussing these things? Should we not be thinking and talking together about what we might consider to be the good, the true, and the beautiful? 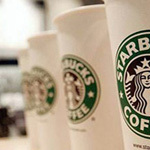 Is not the “rest of the story” (as Paul Harvey used to say) that the “Starbucks’ World” has joined a common effort by large and small companies (whatever their success rate) to do business in an ethical manner? And what about Howard Schultz’s call for business leaders to stop making financial contributions until politicians (i won’t call them “public servants”) get serious about dealing with the country’s economic crisis? Given the overwhelming positive response from a wide-ranging demographic, perhaps there is a greater degree of shared values on central issues than our media report. Sometimes it’s a matter of enlightened self-interest, as with the mayors of major cities in Texas. Unsure about the effects of emissions on global warming, they nevertheless promoted policies and practices to make sure that the air that their (grand)children breathe, the water that they drink, and the land which produces the food that they eat be as clean as they could make them. Very insightful. Perhaps this is our version of “Babel.” How to combat it? The Bible would suggest renewing our minds. We’ve made an intentional choice to associate with people who don’t share our views. [Maybe that’s why we get phone calls from both the Republican and Democatic parties.] We not only want to challenge their thinking, but to have them challenge ours. And to practice grace when we disagree.